The second semester is rolling. Middle-of-the-year benchmarks are done. Data is ready for analysis. The end of January is when the gas peddle hits the floor and time seems to fly. It is also when the typical teacher experiences a bit of stress as testing time approaches and some of the kiddos aren't progressing as planned. If you have done this for a few years, and felt this way for a few years, you know that the stress will wane and you will make it through this time. Say this to yourself, "I will make it through this time of year because I have done it before." Then ask yourself, "How will I make it better for my students and for myself?" 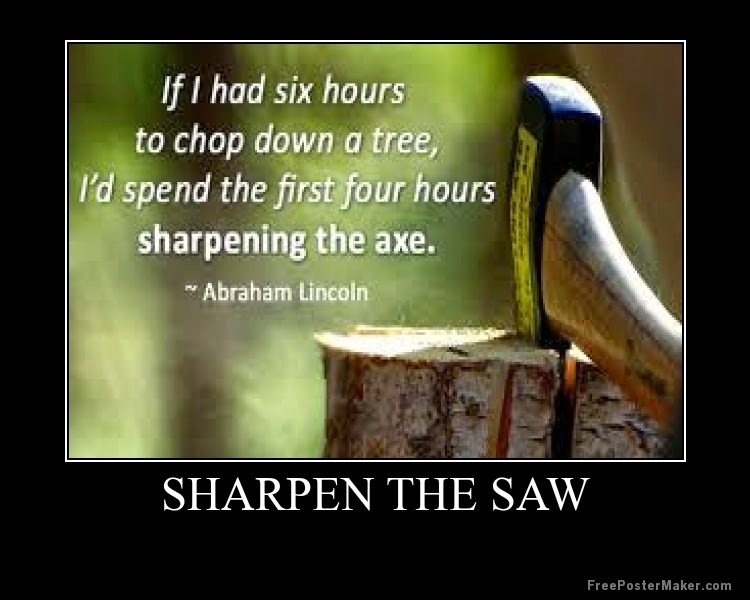 One of your answers to this question must be, "I will sharpen my saw!"